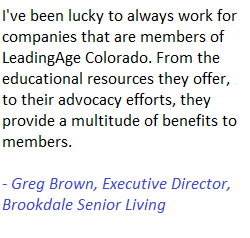 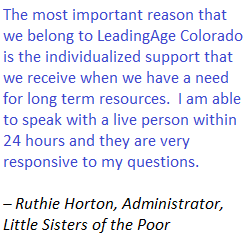 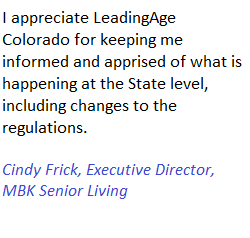 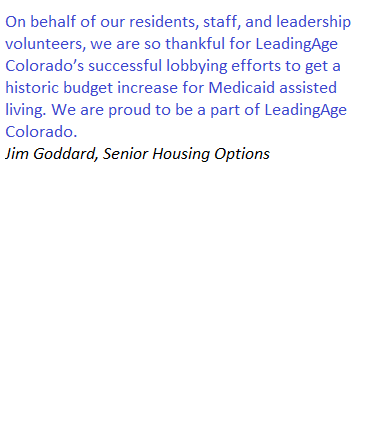 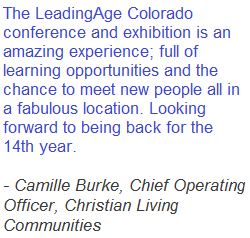 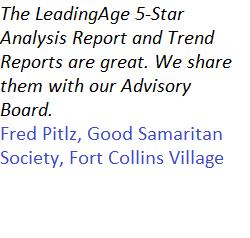 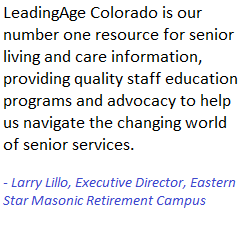 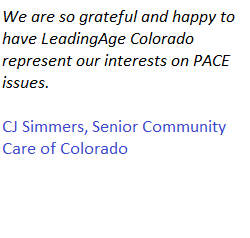 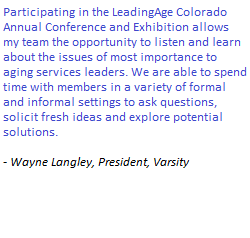 We are seeking original, thought-provoking proposals that enable LeadingAge Colorado members to hear about creative approaches, new ideas, innovative models and emerging trends as well as topics that address the pressing issues facing senior living and care providers across the continuum of care. 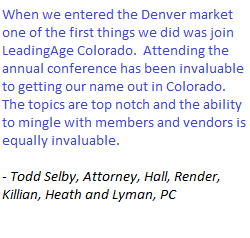 Sales presentations will not be accepted. 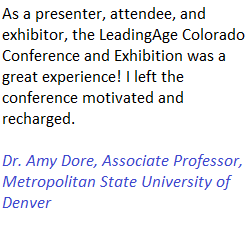 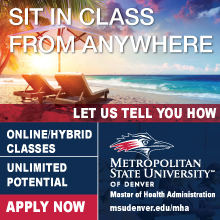 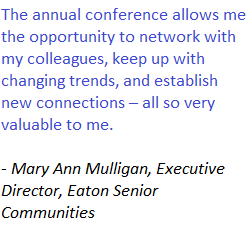 We are now taking booth reservations for our Annual Conference & Exposition scheduled for May 13-15, 2019. 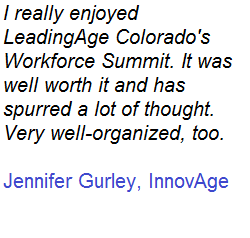 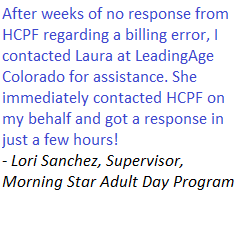 You will find many exciting opportunities for networking — reaching out to more than 200 aging service provider professionals, corporations and key decision makers.